​I am the blacksmith of Talavera. My father and his father and their fathers before them back for many generations were the city’s blacksmith and my son will be that for tomorrow. I have lived and died with this city, exposed as it has always been to the great armies and princes that raged around it. The Castle fort that rises above the rivers demands to be conquered before an army can move south or north and so, Talavera has been razed, deliberately infected with disease, burned and the population slaughtered. I know you are familiar with the Peninsular War and the Battle of Talavera. After deleting the Spanish, Napoleon shrank my great, great grandfather’s generation by 80% until only 5,000 were left. On July 27-28, 1809, the battle of Talavera, one of the fiercest in the Peninsular War was fought just outside our city. 33,000 Spanish troops marched up the Tagus valley to Talavera to encounter 46,000 French under Marshal Claude Victor with Joseph Bonaparte, the French king of Spain in nominal command. This major engagement resulted in the French being held off. There were tremendous losses on both sides but for Talavera, this opened a new future. ​Our craft skills are often not required in the same way in re-building the city and so we use our history and our talents to create art that will attract visitors not as French soldiers or Roman legionnaires but as guests who are pulled in by our history and want to meet me, the blacksmith of Talavera. So, with my brothers and sisters, the carpenters and stonemasons and bakers and builders, we rebuilt the city again and again and again and we are still here. ​We have a centre for artisans that you can visit and have a chance to meet one of us and see how we use our skills today. My city, Talavera de la Reina, is surrounded by two mountain ranges, the Sierra de San Vicente in the north, and the Montes de Toledo in the south. It was first settled by the Celts who enjoyed the rich fertile plains of the river Tagus and Alberche. 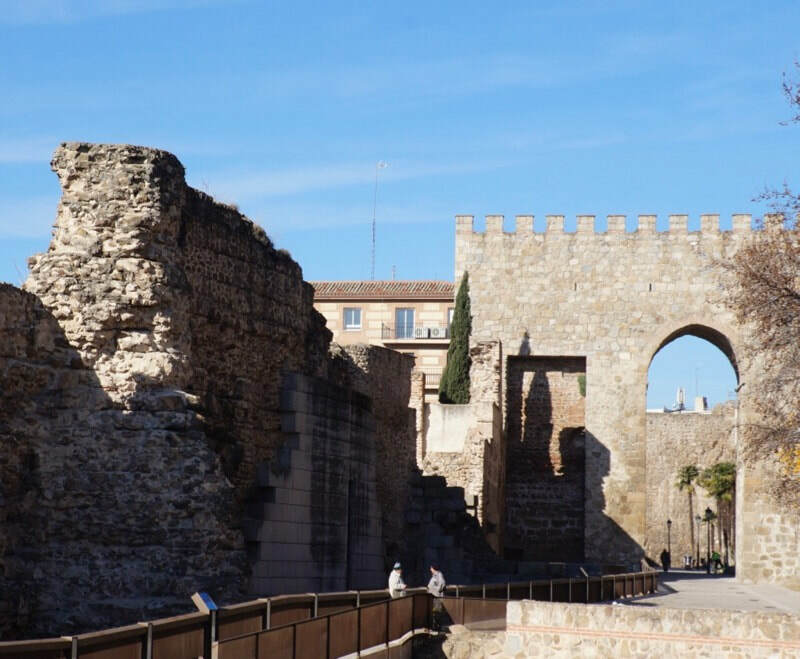 Then, the Romans followed and Talavera became the Roman Caesarobriga, one of the most important centers at that time. In 1082, King Alfonso VI conquered the area and gave it to his Queen, Maria of Portugal. Thus, Talavera de la Reina. Around the 8th century, the Moors came and conquered and they were very good potters and tile makers. 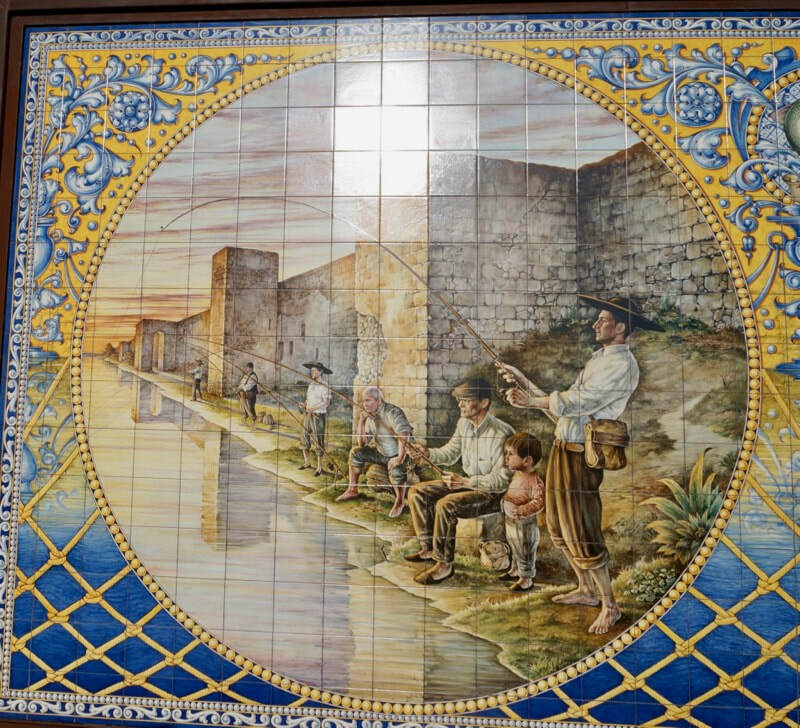 With the high quality of clay in Talavera, the ceramics produced here immediately gained renown in the world. This was further promoted by the use of these tiles by King Philip II in El Escorial. ​In fact, the Mexican city famous for its pottery, has been named after us, Talavera. I hope you will have a chance to see these. That's my son who follows my trade and between us, we maintain our artisan centre, continue to make designs that people like today still using the same methods of our forefathers. Talavera is continuously in the midst of restoration and preservation of its heritage. It has done a great job of doing so. It is still digging more of the Roman remains to prepare them for public display. 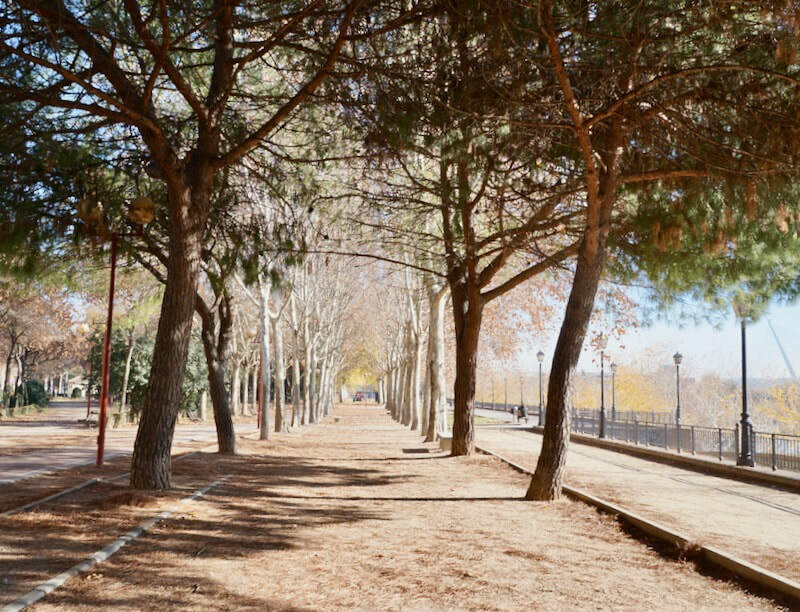 It has a paseo (a promenade) on the river that gives the city a park-like feel. The rows of poplars add to the magic. Has Talavera caught your travel fancy?